There has been a myriad of milestones in artificial intelligence since the Enigma decoder during WWII and the cognitive scientist John McCarthy coined the term in 1956. The IBM computer Deep Blue, in 1997, beat the highest-rated chess champion Garry Kasparov. Finally, the IBM computer Watson, an artificial intelligence computer with four terabytes of disc storage (or 200 million pages) and 500 gigabytes (one million books) per second of processing speed, recently defeated the Jeopardy champions Brad Rutter and Ken Jennings. Even for technological Luddites, this recent surge in artificial intelligence achievements has been impressive. There is burgeoning frustration amongst the clinical stakeholders in congenital heart disease in finding the right answers in the complex clinical management schemes of these complicated patients. We are mired in data and information but lack sufficient knowledge and intelligence (akin to accounting vs finance). The research paradigm desperately needs a major paradigm shift away from the outdated, narrow-focus, and difficult-to-organize randomized controlled trial. The decision-making in congenital heart disease is limited to static databases and expert-based opinions and beliefs as well as adult patient experiences with evidence-based medicine. Despite the availability of artificial intelligence techniques and the upcoming technological singularity and escalation of computing power, there remains an inchoate interest in the utilization of artificial intelligence in congenital heart disease. In the future, artificial intelligence solutions for congenital heart disease problems will utilize techniques in a portfolio of artificial intelligence methodologies (such as neural networking, machine learning, data mining, genetic algorithm, evolutionary computation, expert systems, fuzzy logic, Bayesian probability, data visualization, and case-based reasoning ). For instance, machine learning is well suited to learn to read ECGs in patients with hypertrophic cardiomyopathy (HCM) in order to generate an ECG signature of HCM to prospectively interpret screening ECGs (rather than relying on pediatric cardiologists to read ECGs with moderate degree of inaccuracy). In addition, challenging clinical decision-making scenarios such as adults with congenital heart disease and pulmonary hypertension or infants with Ebstein's anomaly can use neural network methodology to neutralize the issue of insufficient number of study subjects often found in congenital clinical investigations. The complex clinical imbroglio and heterogeneous nature of the congenital heart population will demand a sophisticated multi-dimensional artificial intelligence architecture that will take advantage of some or all of these aforementioned methodologies in a mélange of techniques. Such use of artificial intelligence methodologies with patient databases, expert opinions, clinical trials, published reports, and parent observations in congenital heart disease can all contribute to a "living" multi-dimensional knowledge base that will reside in a supercomputer which will become "smarter" with time. In essence, artificial intelligence will do for medicine what planes have done for flight. The Da Vinci Congenital Heart Project (named after the archetypal Renaissance artist-scientist who was the first to describe a congenital heart disease) will involve scores of seasoned congenital cardiologists and surgeons as well as other subspecialists with all the existing published literature. Together, these experts can continually mentor a supercomputer (named Leonardo, also after the Renaissance scientist) to attain comprehensive knowledge and longitudinal decision-making to eventually be the world's most astute and experienced congenital cardiologist and the paragon of computer-related artificial intelligence (an intelligence amplifier). Conclusion: Leonardo will combine both the current state of understanding and research with the seasoned wisdom of sagacious senior physicians while minimizing diagnostic and therapeutic errors. Within twenty years, Leonardo will serve the entire world as a tireless and omnipresent multi-lingual supermentor for generations to come (but not like the evil supercomputer Hal in 2001: A Space Odyssey), a veritable deux ex machina of the highest order for those children and adults who suffer from congenital heart disease and in great clinical synergy with the human congenital cardiologist. 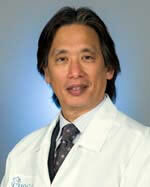 Anthony C Chang, MD, MBA, MPH is internationally recognized as an expert in the field of Pediatric Cardiology. Dr. Chang has 25 years of experience and special expertise in Congenital Heart Disease and Perioperative Care as well as Cardiomyopathy and Sudden Death in pediatric patients.